After announcing a partnership with top virtual tour software “Matterport” back in January, the Insta360 ONE X has since fully integrated. The ONE X and Matterport’s cloud platform work hand-in-hand to deliver a seamless experience that makes virtual tour production easier than ever. After connecting to your ONE X, you can now control and capture physical spaces using the Matterport app, upload content to Matterport’s cloud platform, edit and view your 3D model and publish a virtual tour in no time. Once done, your 3D virtual tour will be shareable via a unique link for easy viewing. This new integration allows realtors at all levels to create 3D virtual tours for all sorts of spaces. What used to be a solution reserved for premier listings – due to the high cost of professional-grade solutions – is now accessible by realtors at all levels, with no photography, videography or editing experience required. While the ONE X captures 360 images at the tap of a button and auto-adjusts to meet the environment, Matterport’s machine learning algorithm “Cortex” transforms these images into 3D models and 3D virtual tour experiences. Cortex is trained using Matterport’s database comprising billions of 3D data points, so it can understand rooms and the detailed characteristics of a space. Using your ONE X with Matterport allows you to create immersive 3D walkthroughs of homes and other physical spaces, create teaser videos of the space, export 360-degree snapshots for social media, and more. Use Dollhouse View to see a 3D virtual model of the entire home. 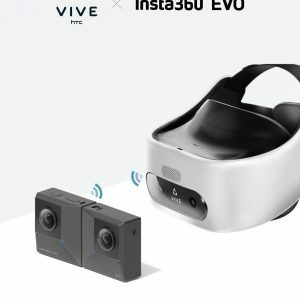 Toggle to Inside View for a self-guided or automatically generated walkthrough experience Pop into Virtual Reality for the fully immersive 3D experience that will make you feel like you’re actually there. 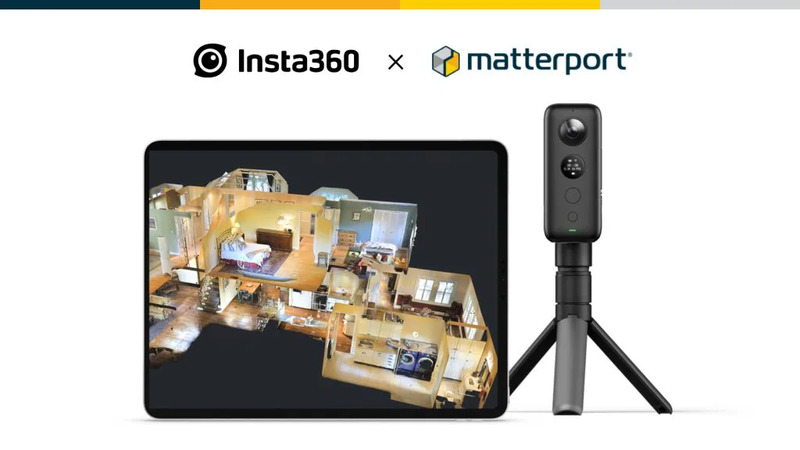 Matterport offers a feature-packed free trial option and a $9.99 “Starter” subscription tier for cameras such as the Insta360 ONE X. 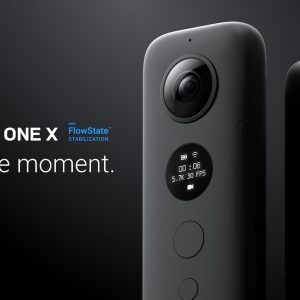 The Insta360 ONE X, priced at $399.95, is available at Insta360.com, Apple.com, the Apple Store, Amazon and other select retailers worldwide. Keep an eye on our blog to learn interesting ways our cameras are being used, or visit our dedicated Real Estate page to see how we support realtors. Keep up with the latest in 360 photos and video by joining Insta360’s user group on Facebook and signing up for the Insta360 community mailing list.